You have to be signed in to add & view your wishlist. View full list in cart. The israeli designer Idan Cohen was born to a family of fashion. As a child he wondered the factory of the family’s Denim brand and dream of an international fashion brand of himself. After becoming the company’s creative director, he realized his passion is in bridal gowns and evening wear. Idan went on to study at the London prestigious fashion school Marangoni. After graduating he came back to Israel and in 2011 opened up his own studio, that rapidly became a success. Today, 4 years later, the studio has moved to a 4000 square feet store at the fashionable neighborhood of Neve Tzedek in Tel Aviv. Idan Cohen has made a Name for himself with his special unexpected designs. Television hit shows, like the Housewives of Tel Aviv, has chosen him to design for their stars and many celebrities wear his designs, for their special events and their high profile weddings. All the designs are meticulously hand sawn at the brand’s workshop and in prestigious factories throughout the world. 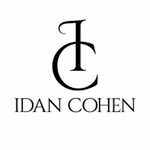 Idan Cohen fulfils the dreams of his clients and caters to all their needs and desires.